The Oscars & Politics . Well the Oscars were held Sunday night in Los Angeles and they didn’t really differ from what has gone before even with the “me too” movement active since Harvey Wenstein exposure as a predator of women. The films were different obviously , however I noticed that Gary Oldman got Best Actor for “Darkest Hour” a portrayal of Winston Churchill in the early part of the World War 2. Well now not being a fan of Winston Churchill (or British history in general) since he along with Lloyd George forced the partition of Ireland in 1921/1922. Churchill was somewhat of a war monger and refused numerous peace offers through out the war. Churchill seemed to very confident of the allies winning the World war 2 and often wonder why. Anyway back to the films, a few years ago Michael Fassbender did a portrayal of Bobby Sands in the movie “Hunger” despite winning some awards for Fassbender’s powerful depiction of Sands during the hunger strike it was deemed too political for Hollywood and the Brits largely stymied the film. it seems that portraying a War mongering British pm is however acceptable. Suppose that people can make their own mind up. Author adminPosted on March 6, 2018 Categories FilmLeave a comment on The Oscars & Politics . Somehow I would gather that people are blue in the face from the all publicity this film has got and its only out since last Friday (15th December). Went to see this Monday evening at the Omniplex at the Crescent shopping center and was not impressed by what I saw. I wasn’t too impressed by the previous episode “The Force Awakens”, so was not in a queue for this film in particular. Hey what the heck given all the publicity and hype and the “rave” reviews given to it by film critics, had to go see it. Well what I think is that the film has very much recycled the plot of the “Empire Strikes Back”. The beginning of the Last Jedi is a total lift of the rebels escape from the Ice planet Hoth in the “Empire Strikes Back”. The last Jedi borrows a lot from previous films and its not at all original. The film is very “PC” lots of women, black and Asian actors to the point where they become noticeable and detracts from the film a lot especially the “Empire” or “First Order”. 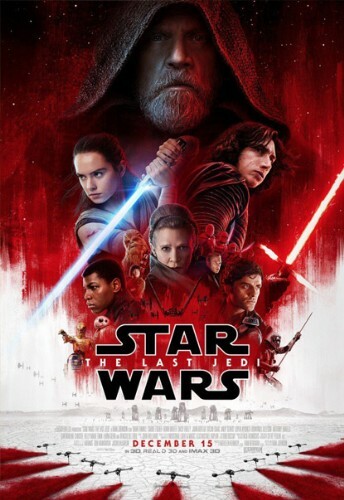 “Luke Skywalker” is back as a very grumpy Jedi Master who lives on a Island, promises to train “Rey” but doesn’t, the part doesn’t suit Mark Hamill “Luke Skywalker” very well. Snoke, Kylo Ren and General Hux don’t make it as baddies. The whole film looked like a terrible remake, with having no plot to tell basically. No need to make any more Star Wars films I think. Author adminPosted on June 24, 2017 June 24, 2017 Categories FilmLeave a comment on Transformers. Carrie Fisher actress 60 dies in hospital. Carrie Fisher a famous actress for her star wars role has died in hospital following a cardic attack on her flight London to Los Angeles last Friday. Author adminPosted on December 27, 2016 December 27, 2016 Categories FilmLeave a comment on Carrie Fisher actress 60 dies in hospital.